Department of Medical Imaging, Sutter Medical Group, Sutter Health, Sacramento, CA, USA. UC Davis School of Medicine, Sacramento, CA, USA. Perhaps no artery in the human body bears as much importance to bodily functions and life as the basilar artery, by virtue of the anatomical territories it serves. This is due to the critical nature of the physiological functions supported by the brainstem, the nearby cerebellum and cerebrum, and the severity of most pathological conditions known to affect this artery, and the risk involved in treating those conditions. This book is a comprehensive resource of knowledge on the anatomical, radiological, developmental, clinical, and technical aspects relevant to the diagnosis and treatment of basilar artery diseases. 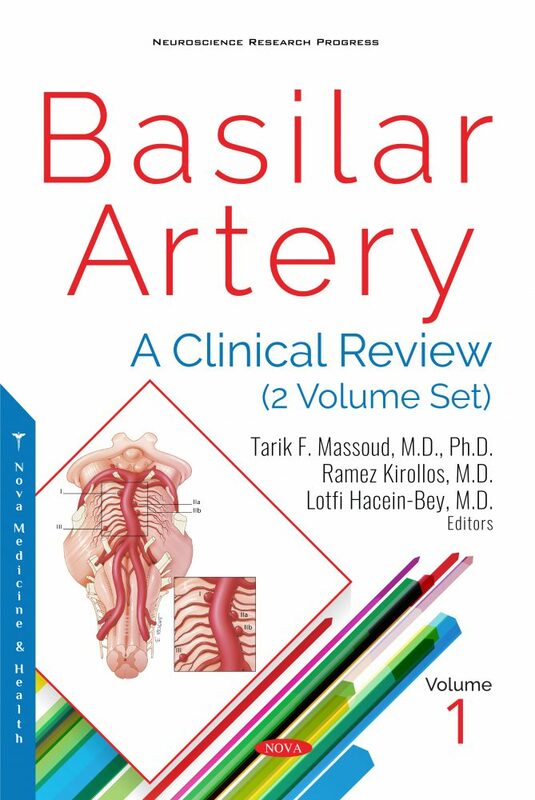 Until now, no single book has been available as a wide-ranging resource of clinically relevant information on the basilar artery, its pathology, and various treatment options. The co-editors are experienced academic clinicians with active interests in clinical neurovascular imaging and cerebrovascular surgery, who have worked within vibrant hospital and academic settings at the forefront of the best clinical practices related to diseases involving the basilar artery. The co-editors’ clinical experience has been acquired in centers of excellence across the USA, Europe, and the Far East. In compiling this book, the co-editors have also called upon many of the world’s best basic and clinical neuroscientists, specializing in knowledge of clinical conditions affecting the basilar artery, for their expert input on the latest clinical management of patients with diseases involving this artery. This book is intended for neuroradiologists, neurosurgeons, neurologists, neurointensivists, and other physicians and scientists engaged in the study and clinical management of patients with disease of the basilar artery and its vascular territories of the brain. It should also serve as a unique educational and research resource for students and more experienced practitioners alike within this important area of clinical medicine.